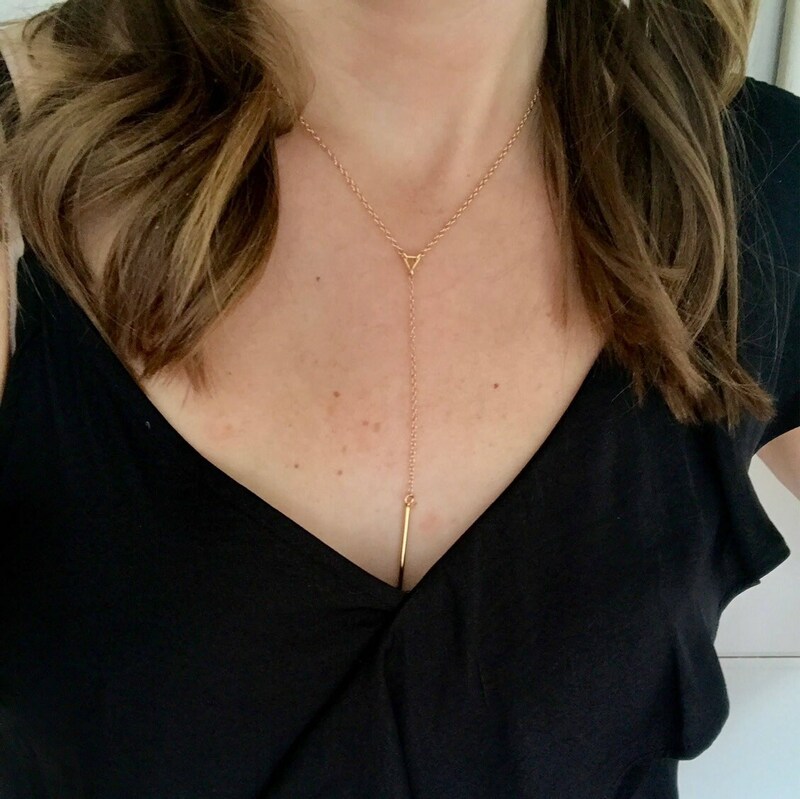 Chain Length 16" (model) 18" 20"
This chic and everyday lariat necklace features a tiny gold triangle that's attached to a delicate skinny bar drop. 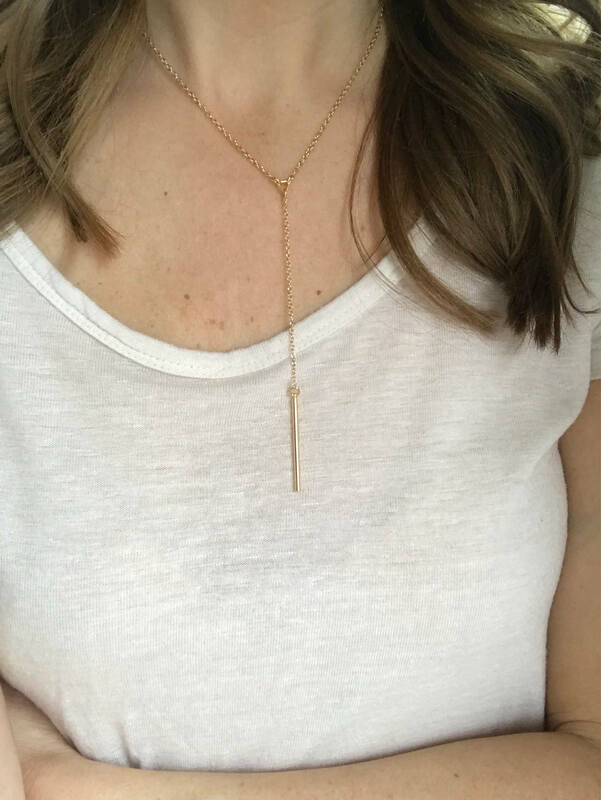 A minimalist necklace that can be layered with many other necklaces. 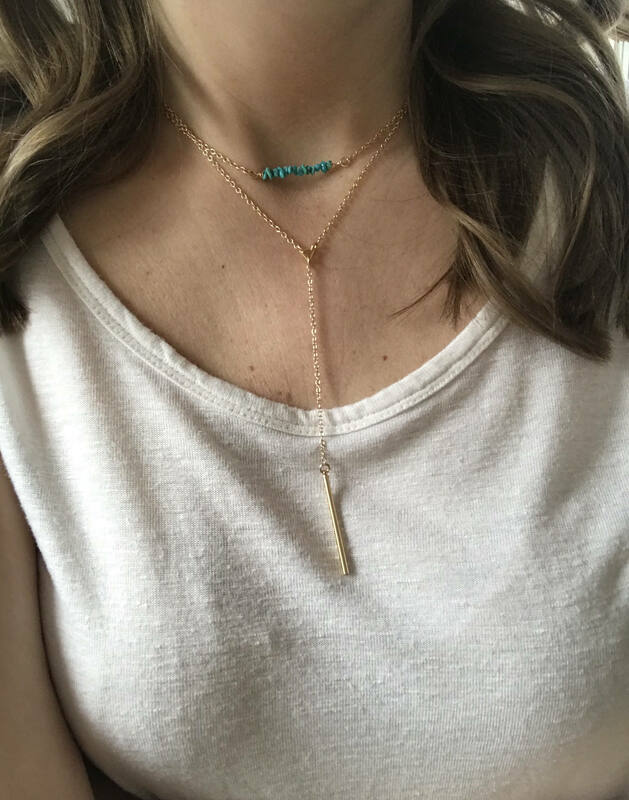 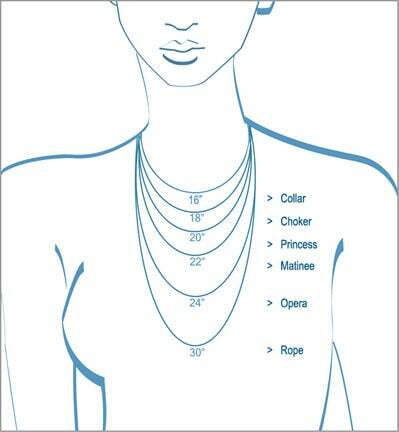 ►Drop length: 3" or 4"
►Model is wearing a 16" necklace, with a 4" drop including bar.